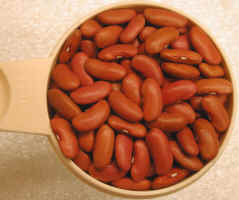 (Beans, Kidney) Kidney beans are so-called, because they are shaped like a kidney, and they usually hold their shape when cooked. One of the other nice features of kidney beans is that they absorb the flavor of the seasonings with which they are being cooked. 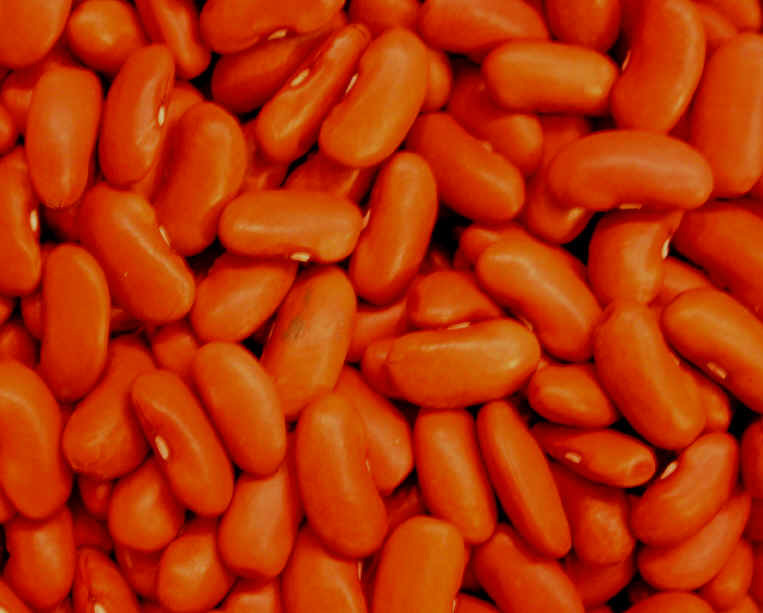 Kidney beans and other beans such as pinto beans, navy beans and black beans are known scientifically as Phaseolus vulgaris. They are referred to as “common beans” probably owing to the fact that they all derived from a common bean ancestor that originated in Peru. They are high in protein (22.5%), and very nutritious. See the nutritional chart below. 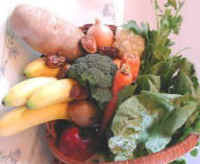 The actual size of the kidney beans can be seen in the photo of the cup to the left.